By a private Minivan we will depart towards the old iron curtain. 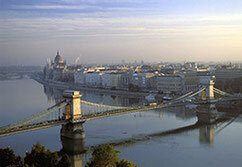 After two hours driving through Hungarian lowlands, we will reach this wonderful city. 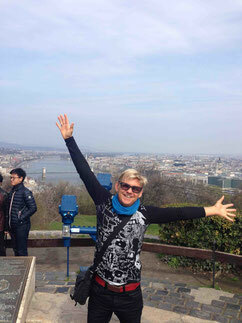 Upon arrival, your knowledgeable local guide will show you in the most personal and informative way, all the main attractions in Buda and in Pest. After crossing the world famous chain bridge our tour continues to the largest church of Budapest. St. Stephens Cathedral, constructed in the second half of the 19th century in the eclectic style, houses the most important religious relic of the Hungarians, the holy right hand of St Stephen. 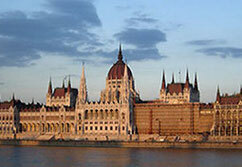 For sure we take a look to the magnificent neo-gothic building of the Hungarian parliament (crown jewels inside), which stands along the riverside. Afterwards you will drive along the Budapest "ring", the Andrassy street, see the Opera building and the comprehensive tour will end in the city centre. After the tour you can spend a couple of hours in Budapest for lunch, to do some shoppings in the lovely pedestrian area called Vaci street or to explore the city further on your own. In the late afternoon your guide will take you to Vienna and back to your hotel. 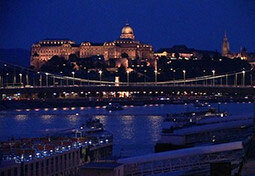 Enjoy the superior service and the personal atmosphere of this unique private tour to Budapest. Prices are for private groups of up to max 7 persons.